On February 13, 2018, a first science policy panel touching on basic research, innovation, politics and ethics was held in Lausanne at our LS2 Annual Meeting 2018, funded as a “FEBS Science & Society” event. Apart from being a major scientific breakthrough, the CRISPR/Cas9 revolution reveals how different fears and hopes are being handled by science, society, economy and policy makers. It thus represented an ideal case to discuss the different implications of modern biomedical research, from economical, legal and ethical implications, to aspects of scientific impact and careers. The panel was composed of Prof. Martin Jinek from the University of Zurich, and one of the inventors of this new technology, of Effy Vayena, Professor of Ethics at the University of Zurich, of Prof. Heinz Müller, from the Swiss Federal Institute of Intellectual Property, and of Prof. Bruno Lemaitre from the EPF Lausanne. Martin Jinek explained the CRISPR/Cas9 technique to the audience and presented some of the ongoing and putative applications that could be derived from it. Effy Vayena talked about the current race for clinical trials, pointing out that most of the ones from the west were surveys and meta studies, while China was rushing ahead with medical tests such as the first genetic modifications of human embryos. This certainly implicates some ethical questions, institutions and governments around the world will handle in different ways. Heinz Müller strikingly showed that over 1500 patent applications based on CRISPR/Cas9 are pending worldwide right now with an exponential growth of the number of patent applications since 2013. This certainly demonstrates that a huge economical potential is expected in the near future by scientists and industry alike. He compared the legal situation of the use of the CRISPR/Cas9 technology with the invention of the polymerase chain reaction (PCR) in the 1980s, a disruptive technology that was made available for free for all academic researchers around the world. Bruno Lemaitre highlighted the use of CRISPR/Cas9 in ecology, focussing on gene drives and insects. The panel was very well received and triggered a lively discussion with the approx. 120 participants. They were mainly from Swiss universities & research institutions, but also some representatives from governmental institutions (Fed. Office for Agriculture and Fed. Office for Public Health) were present. We’re extremely thankful for the FEBS Science & Society support that made this event possible. 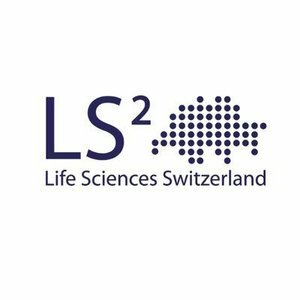 LS2 (Life Sciences Switzerland), formerly USGEB, is a non-profit organization dedicated to advancing biological sciences within Swiss Academic Community, and to addressing the social and ethical issues raised by the rapid progress of life sciences.